My wife's eyes rolled when I said we had to stop to see this but how could I not? It's 27 feet long or the length of 60 hot dogs laid end to end. Runs on mustard i think. ...and the hot dogs? They're a popular make aren't they? 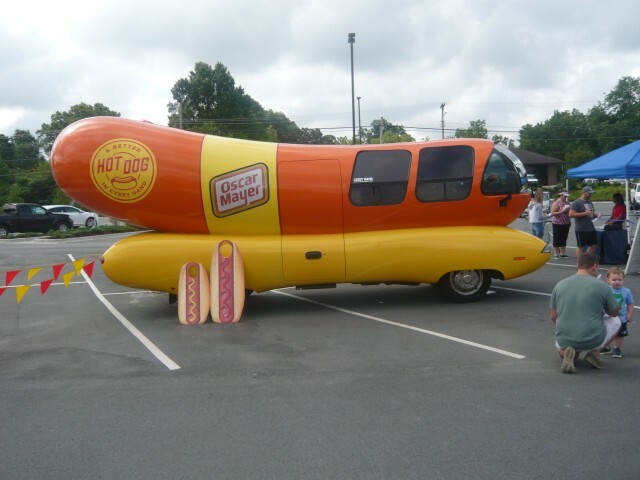 They are the second largest brand of hot dogs in the US. Not my favorite but I've eaten plenty of them. Skinless. What a good marketing strategy that they made there.